Many thanks to all the folk who turned up in their droves to support speakers at the Council Planning meeting yesterday. The spontaneous round of applause when the Chair of the Planning Panel announced that Brookfield’s Knockskae proposal was refused permission was heartfelt. Especially as some of those who spoke out would feel the full impacts of this monstrous development on a daily basis, affecting their everyday activities and dominating their lives. Your support made all the difference. Thank you. Next up we have our Rumble in the Jumble. 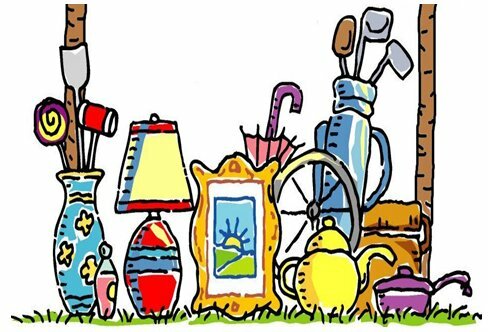 Get down to the village hall this Saturday between 10 and 4 to enjoy a good old fashioned jumble sale…and more! For those averse to jumble there’ll be stalls offering plants, jams, crafts, delicious home baking plus we’ve a great tombola and teas/light lunch will be served in the Reading Room. (so called from 1912 when the room was furnished with newspapers for residents to read without actually buying them). We’ll look forward to seeing you there!